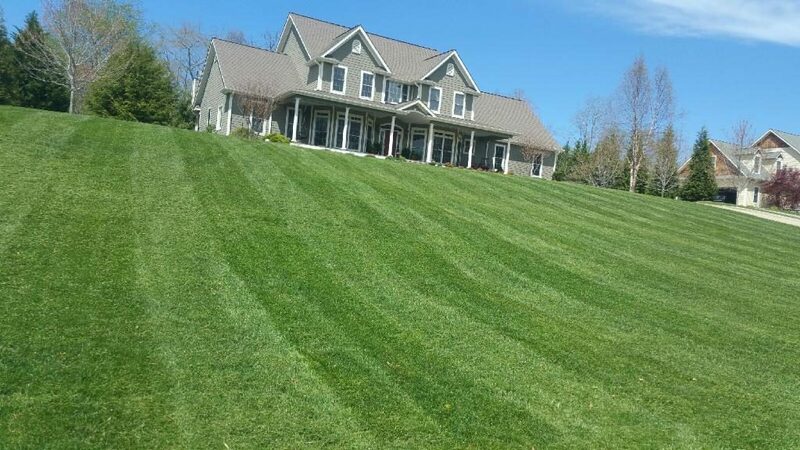 Beam’s Lawn & Landscape provides lawn care services in the Asheville and Western North Carolina areas. Whether mowing your lawn, maintaining your lawn, mulching, aerating or trimming your hedges, we are professional and reliable. Our lawn care services include: lawn mowing, trimming around house and trees with a string trimmer, removing trash, edging along paved areas, blowing off the paved areas and more. Of course we all know that lawn care doesn’t simply start or end with simply cutting your grass. It’s a lot more than that. Lawn care encompasses the entire gamut of skills and specialties that we described above. Perhaps you need lawn care services because you’re going out of town for longer periods of time, or because your simply don’t have the time, or because physically, you can’t do it anymore. Regardless of your reasons for not being able to take care of your yard yourself, we’re here for you. We are insured and we offer free estimates. We will service your lawn on a weekly or biweekly basis or monthly basis.